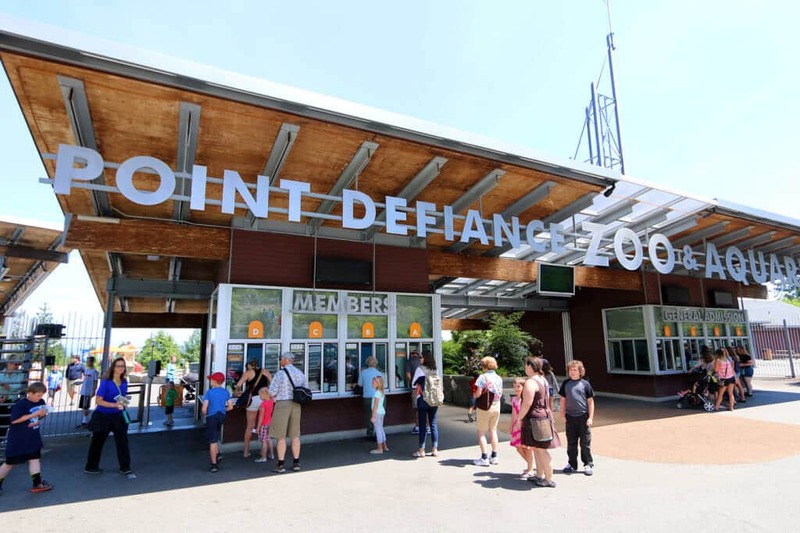 Welcome to the Point Defiance Zoo & Aquarium in Tacoma, Washington, the only combined zoo and aquarium in the Northwest! We’ve been to this zoo a few times, including during the Christmas season for its popular Zoo Lights exhibition, and it’s a family favorite. 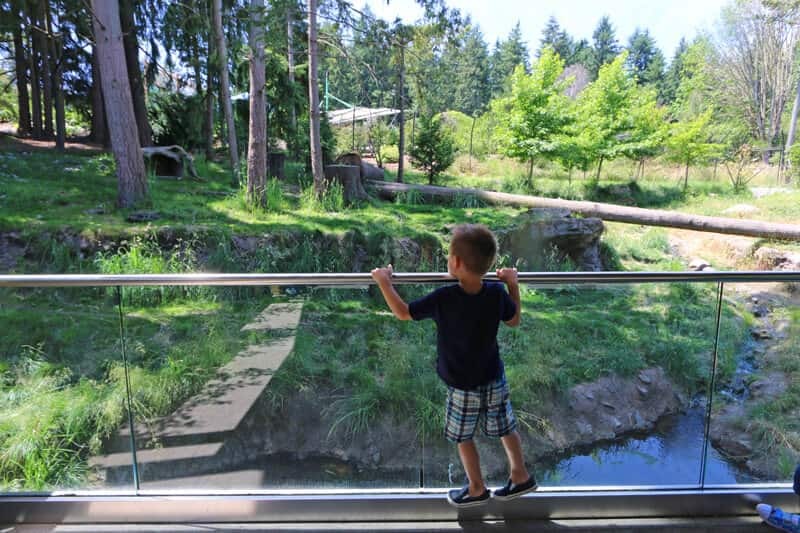 The zoo was founded in 1905 and sits on 29 beautiful acres overlooking Puget Sound. It’s large enough to feature over 9,000 specimens representing 367 animal species, yet small enough to enable you to get up close and personal. 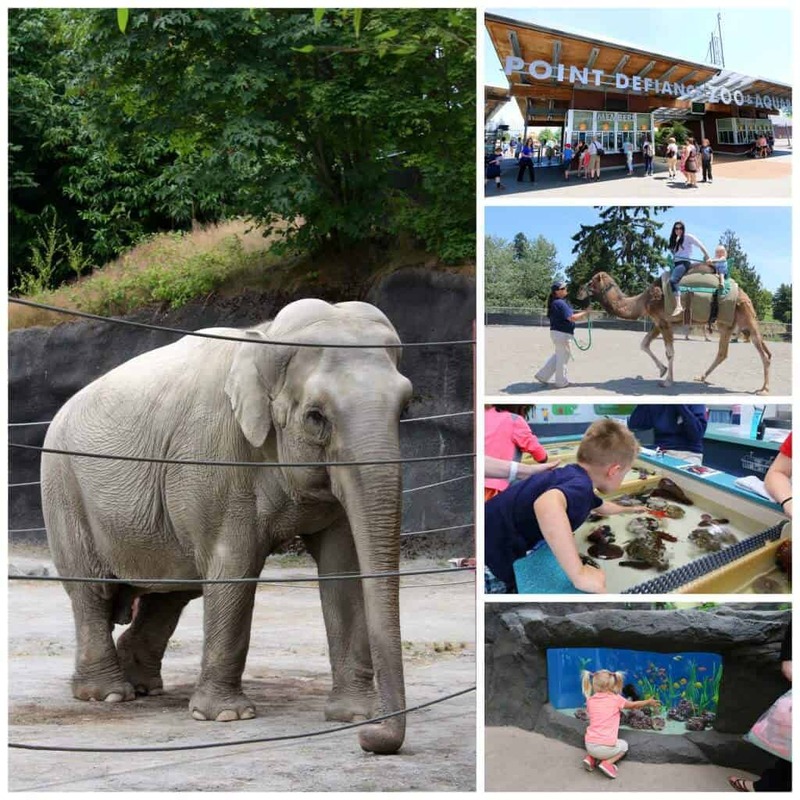 The Point Defiance Zoo & Aquarium is both fun and affordable. 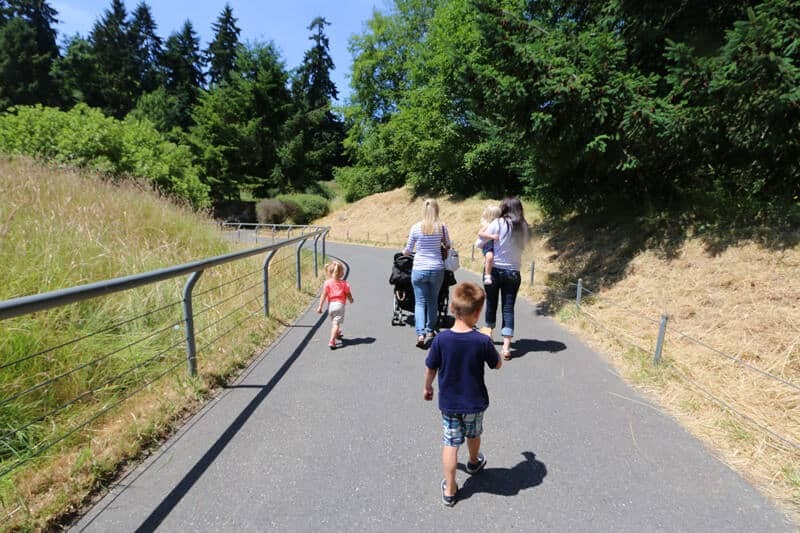 Todd’s mother and sister with her two young children visited us for a few days and we took our family on an excursion to the Point Defiance Zoo & Aquarium. If you haven’t already been to this beautiful area of Washington I hope you get the opportunity. And when you do, add this zoo to your list of things to see. In the meantime, come join us for a virtual tour! 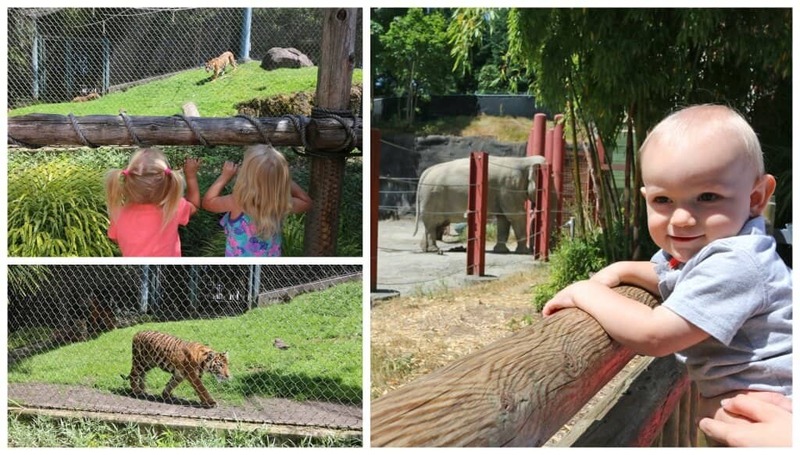 As virtually all children are, our kids were super excited for their visit to the zoo! Each of the exhibits had them fascinated. Let me show you a few of them. 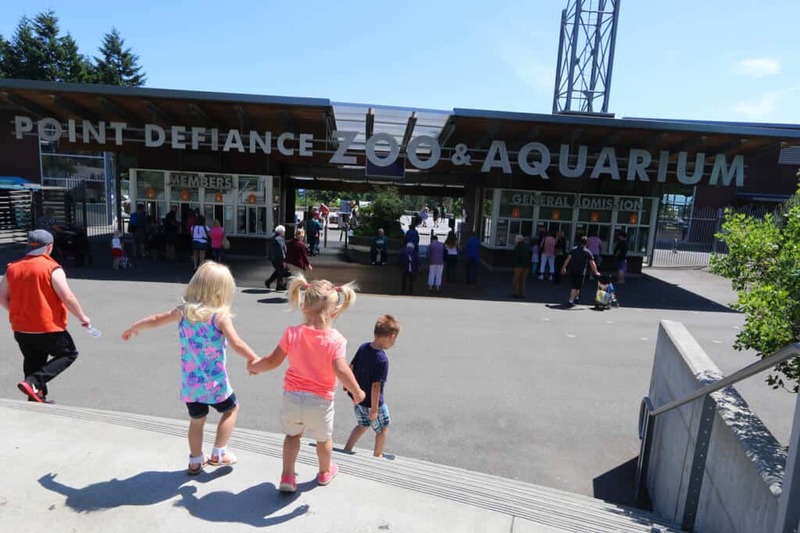 The Rocky Shores exhibit is based on the shoreline of Cape Flattery, Washington and is home to Pacific walruses, sea otters, tufted puffins and harbor seals. The Arctic Tundra features a family favorite (my husband’s originally from Alaska), the muskox, reindeer Arctic foxes and polar bears. The polar bears have an 11-foot deep pool with both an above- and underwater viewing area. The Asian Forest Sanctuary covers 5 acres and simulates the forests of southeast Asia. It’s home to Malayan and Sumatran tigers, siamangs, porcupines, Asian elephants, and more. The aquarium portion of the zoo has two parts, the North Pacific Aquarium and South Pacific Aquarium, each of which houses species from different parts of the Pacific ocean. 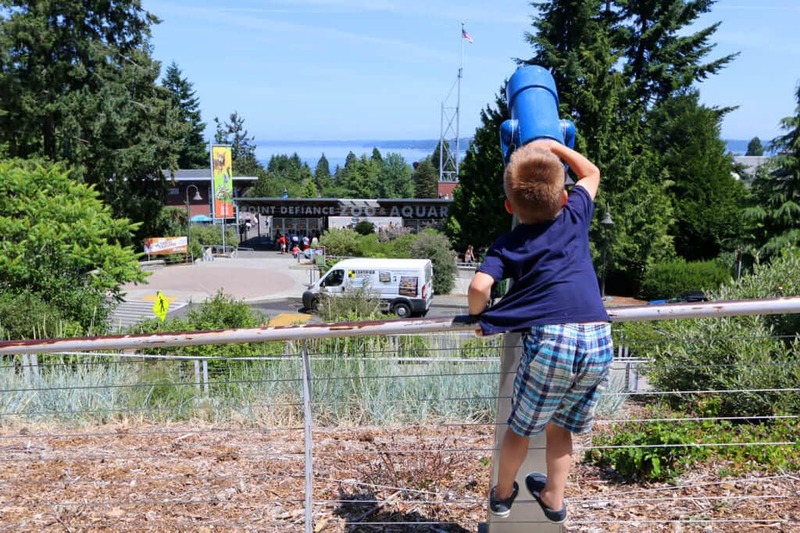 The North Pacific Aquarium features species found in the nearby Puget Sounds such as bay pipefish, rockfish and the giant Pacific octopus – which manages to evade our view every time, sneaky fellow! 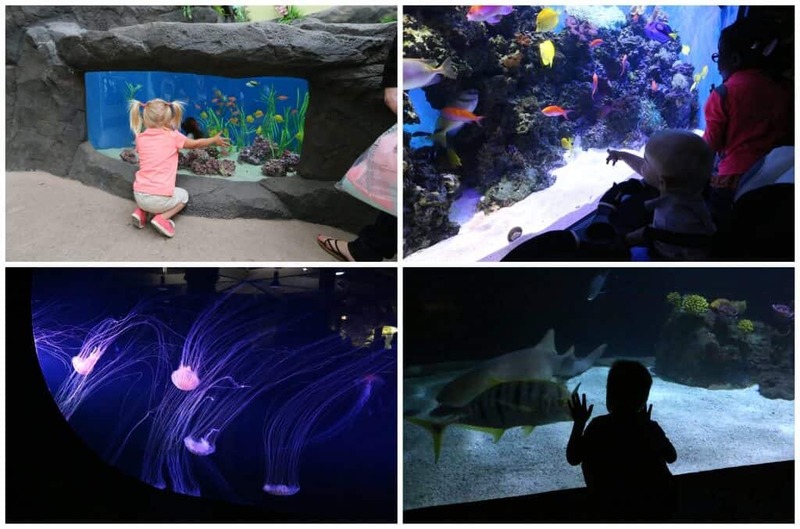 The South Pacific Aquarium simulates tropical Pacific waters and features coral reef tanks and a lagoon exhibit with such creatures as eels and six species of sharks. And naturally one of the best parts of any zoo for young kids with curious little fingers is the interactive portion where you can gently touch the living sea creatures. One conservation project the zoo has been very involved with – and with great success – is the Red Wolf Project, a species of wolves that only live in the United States. Critically endangered, the zoo received permission to start a Species Survival Plan and in 1977 the zoo started successfully breeding the wolves for the first time. In 1980 the last 14 surviving red wolves in the wild were brought the the Point Defiance Zoo as part of their recovery program. By 1987 the population was large enough to release them back into the wild. Thanks to their work, what started out as a population of 14 red wolves has now grown to 250 and the population is continuing to grow. 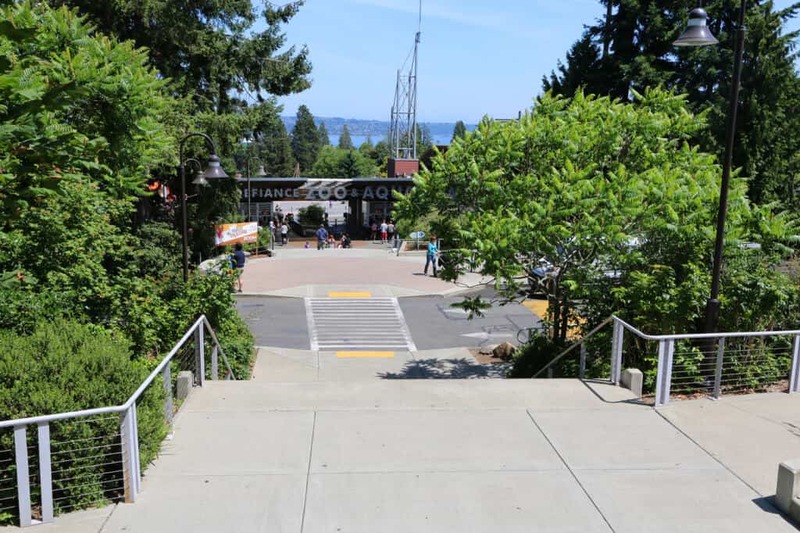 The Point Defiance Zoo is a terrific place to not only enjoy the animals themselves but to take in some beautiful Pacific Northwest scenery. 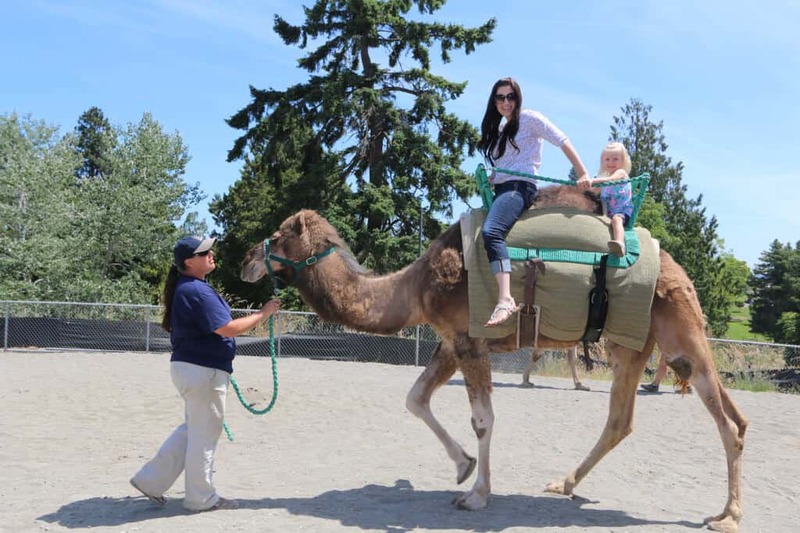 And if you get tired of walking around you can take a short break to enjoy a ride on a camel! A variety of shows are scheduled throughout the day in the Wild Wonders Outdoor Theater and there are other additional activities such as face painting. 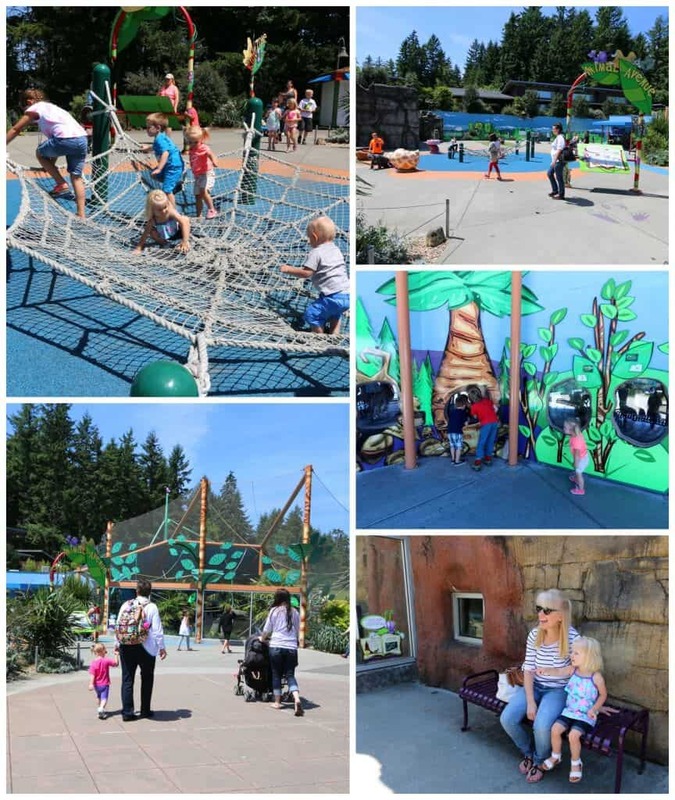 There is also a designated Kids’ Zone with play structures and a petting zoo. 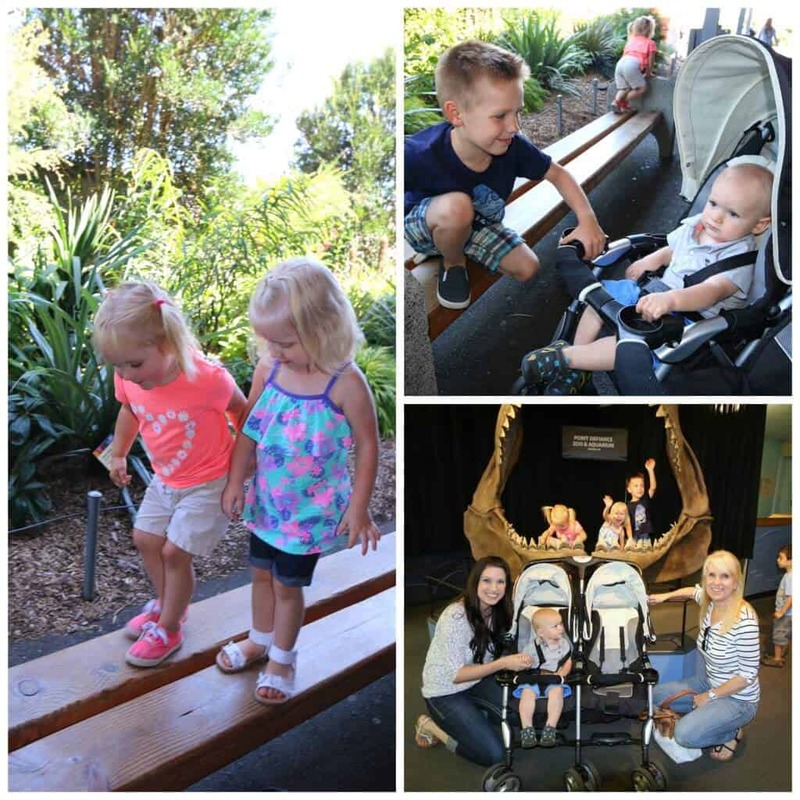 Our family always has a great time at the zoo and aquarium. 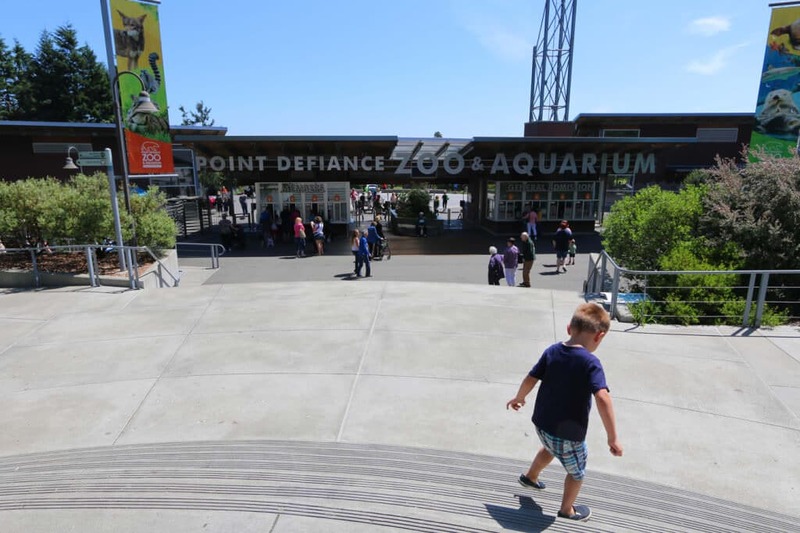 We hope you’ll visit the beautiful South Puget Sound and when you do, be sure to make time to visit Point Defiance Zoo & Aquarium! 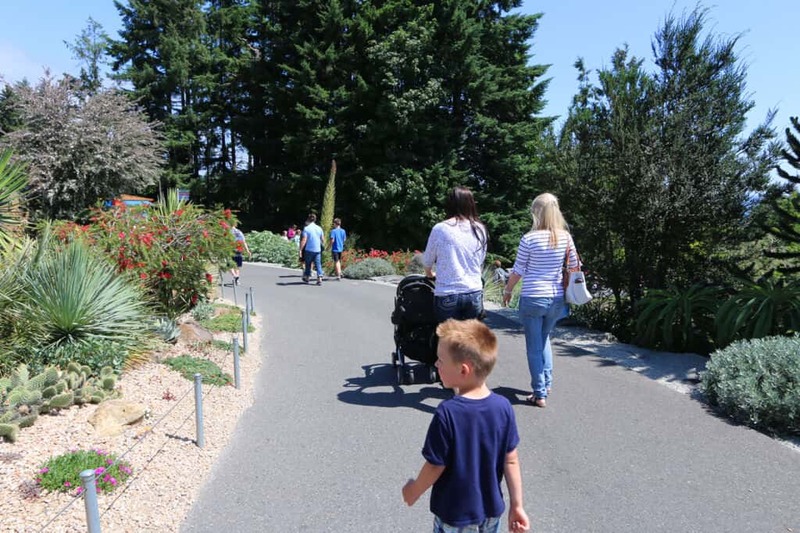 And if you live in the area, the zoo offers annual family passes which are a great value if you visit frequently. « Fish Oil: Should We Trust The Latest? We LOVE this zoo! Our kids have been so many times but never get tired of it. Great pics, thanks for sharing this wonderful place! Valerie, it’s nice to meet someone who has also visited there. It really is a very nice zoo in an absolutely gorgeous setting! This looks like such a blast!! 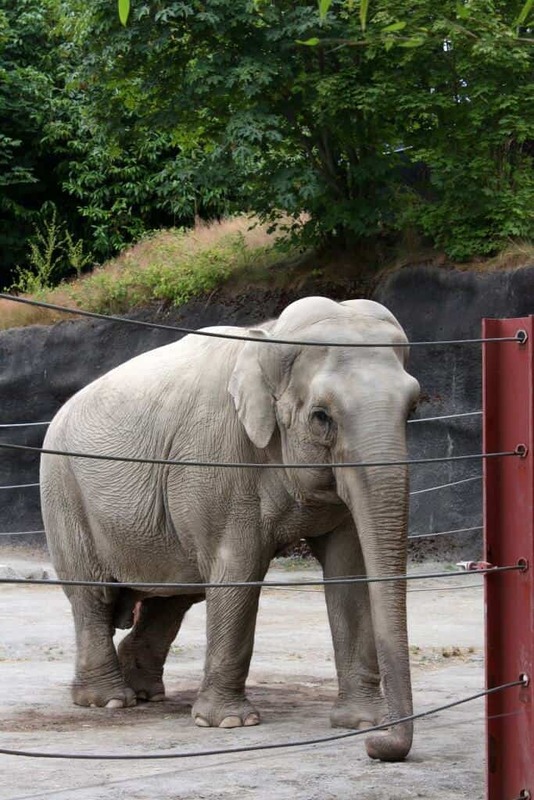 And a good reminder we need to take our boys to the zoo this summer! So much fun!! I miss going to the zoo. Adding this one to the list! The zoo is always fabulous place to go, Sommer, for adults and kids! THis looks like so much fun! !Such a fun summertime activity! 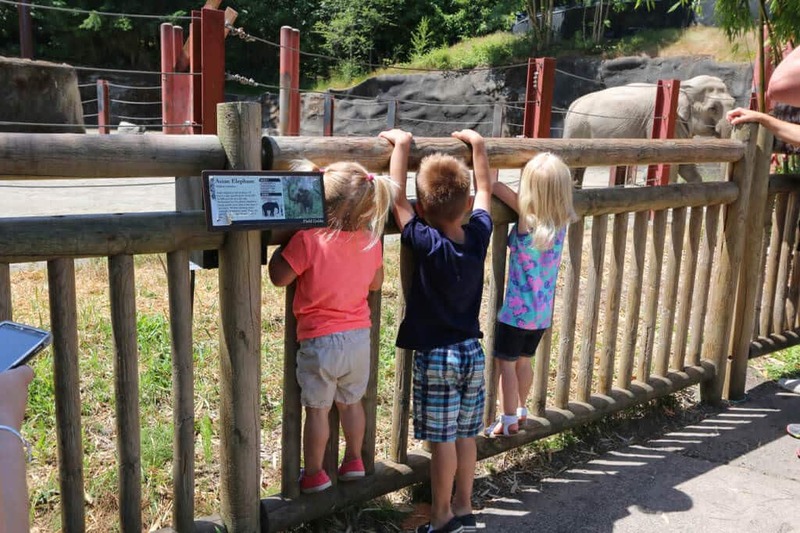 The zoo is always blast and definitely the perfect summertime activity! I love zoos! Thanks for sharing this experience with us! Looks like you all had a blast! :) And I always love the zoos that are combined with an aquarium. So much to see and learn about animals and our world all in one place! My kids would totally be in heaven here!! Looks like so much fun! My little ones always have the best time at the zoo too!